You are here: Home / Home / Food & Drink / Are YOU a supermarket guru? Are YOU a supermarket guru? Earlier this summer I participated in an online briefing with food marketing expert Phil Lempert, aka The Supermarket Guru. Phil is the food trends editor and correspondent for the Today Show, where he reports on consumer trends, food safety and money-saving tips. He talked to us about how to make our summer barbecues entertaining, yet affordable… but the following tips don’t just apply to cookouts! Make a list, noting ingredients you already have at home. Join frequent shopper programs and cut coupons. Put kids in charge of clipping coupons. It teaches them the important of value and savings, and makes it easy to get rid of job you don’t want. As a reward, give them a percentage of what they save you! Never go shopping if you’re hungry. Put 3 blank lines at the bottom of your list – and allow yourself 3 impulse items. Make your own path in the store – shop the middle aisles first. Dry, produce, dairy, freezer… is the best order to follow so that you put non-perishables in your shopping cart first. Be wary of the end-of-the-aisle deals – you’re not always getting a good value. Make your own! This way you’ll avoid artificial sweeteners and added sugar. Iced tea is so versatile – you can brew mint tea, green tea, black tea, anything. For the kids, make Koolaid, but with half as much sugar. Dress up drinks – add mint, maraschino cherries, and lime, lemon, and orange wedges. Cookouts are synonymous with hot dogs, right? And Phil had lots of tips about cooking the perfect hot dog. Hot dogs can be grilled, steamed, boiled, micro-waved, or baked. When grilling, keep the heat at medium heat for a perfect, juicy hot dog. Grilling over charcoal gives them the best flavor. Use tongs to handle the franks as they cook instead of a fork. This way you won’t pierce holes in them and let all the precious juices escape! 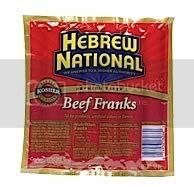 My favorite hot dog brand is Hebrew National, specifically their all-beef franks. They’re made with 100% pure kosher beef, so I have confidence in their quality. They taste great and fit perfectly in a hot dog bun. In fact, Redbook magazine just named Hebrew National the 2nd best-tasting hot dog, so I’m not alone in thinking they’re yummy! I conveniently can’t remember what #1 was, but know it’s a brand I had never heard of. Not only did I garner lots of useful tips from the chat with Phil Lempert, but I also managed to win a case of Hebrew National hot dogs! Yes, you read that right – an entire CASE. And condiments, too. Phil asked all the bloggers participating in the briefing to submit a recipe using hot dogs – and he chose mine as the winner! The recipe I shared was one that my grandma would make for me when I was younger, growing up in Mexico. She’s never been a fan of seafood, so she put a twist on the traditional shrimp cocktail – she’d use cocktail weiners as a substitute for the shrimp. It’s called a ‘coctel de salchichas’ or a hot dog cocktail. Sounds weird, but it’s SO good and easy to make. Mix it all together and serve chilled. Add a splash of tabasco or a little chopped jalapeño to make it spicy! She always served this with saltine crackers. I have a couple of coupons for free Hebrew National hot dogs, and since my fridge is packed with ’em already, I’m going to give them away to two readers. I’ll also throw in coupons for a free bottle of Country Bob’s Bar-B-Q sauce (no association with Hebrew National) just for fun. To enter, please leave a comment below telling me what your favorite hot dog topping or recipe is! Please leave a separate comment for each entry and leave a valid email address or blog URL in your comment. US entries only. This contest ends at 11:59 pm EST on September 3rd, 2009. Winner will be chosen at random, and has 3 days to claim their prize. While I was pregnant I tried sauerkraut on my hot dog anf LOVED it. I still eat it to this day. Thanks for the chance. My favorite hot dog topping is Tony Paco’s Hot Dog Sauce with a side of their Sweet Hot Pickles & Peppers! .-= Matt´s last blog ..Friday Giveaway Hop – 8/21/09 =-. I love the standard mustard ketchup and onions…. yum! .-= colleen´s last blog ..EngliMajor: I just entered to win free Hebrew National hot dogs from @ohMariana! http://bit.ly/YDRV0 =-. I love hot dogs with chili and nacho cheese. Just writing about it is making me want one right now! I’m a mustard gal, but my husband likes ketchup with his franks. leave a comment below telling me what your favorite hot dog topping or recipe is! I make hotdogs and top them with chili man chili, onions, and cheddar cheese. Yum! I put mustard, then sauerkraut on my grilled hot dog on a bun that’s toasted on the grill too. Just had them yesterday. Yummy! Thanks! I like to top my hot dog with chopped onions, ketchup, and sweet relish! I like an absolute ton if Gulden’s Mustard on my hotdogs. That’s it, I can’t eat a hotdog without drowning it in Gulden’s. I love to have chili,slaw an onions on my hotdog! My favorite hotdog toppings are chili and cole slaw. Yeah, I said cole slaw. For some reason, this surprises people who aren’t from the south. If you haven’t tried it that way, you haven’t really experienced a hotdog. You should really add mustard to that, too! .-= Spoodles´s last blog ..Creative Toy Shop Giveaway =-. My favorite hot dog toppings are regular old yellow mustard and a slice of cheddar. (Or just the mustard if I’m fortunate enough to have cheese dogs). 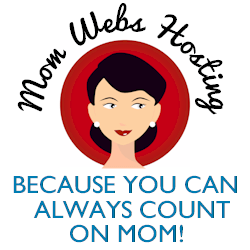 .-= Shelly aka Allysmama´s last blog ..Back to School…Growing up too fast! =-. I like mustard relish on my hot dog, but my favorite is franks and eggs! .-= Heidi V.´s last blog ..Book Giveaway – The Days the Falls Stood Still by Cathy Marie Buchanan – Ends – 09-13-2009 =-. I love putting tomatoes, onions, and pickles on my hot dogs. I subscribe to the feed via google reader.